Mustache Man Party Theme – 15% Off! Oh how I love to throw a good party. Have you seen this Mustache Man Party Theme? I love it! It’s definitely one of my favorite party themes and it’s 15% off through Sunday, July 20th. 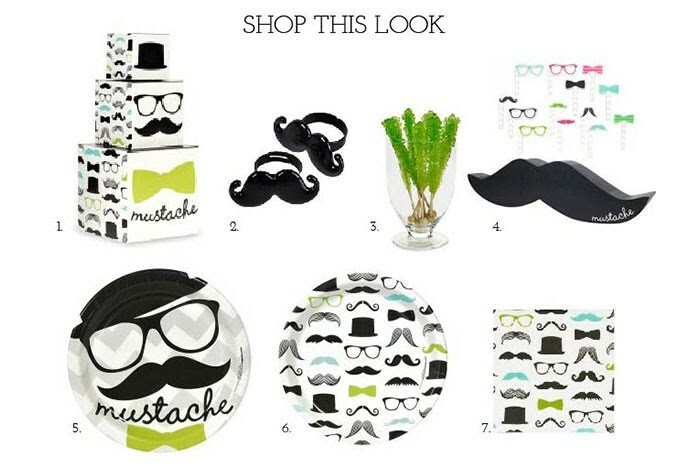 Prepare to party in style with Mustache Man party supplies from Birthday Express. The Mustache Man party theme is probably one of the most versatile themes available. It can work perfectly for dress-up parties, kids parties, baby showers and first birthdays. Throwing the perfect mustache bash can be easy because there are so many ways to mix and match products, along with fun games and decorating ideas that coordinate with the theme. Food & Drink Ideas – Find some old soda bottles or mason jar mugs and fill them up with blue Gatorade. 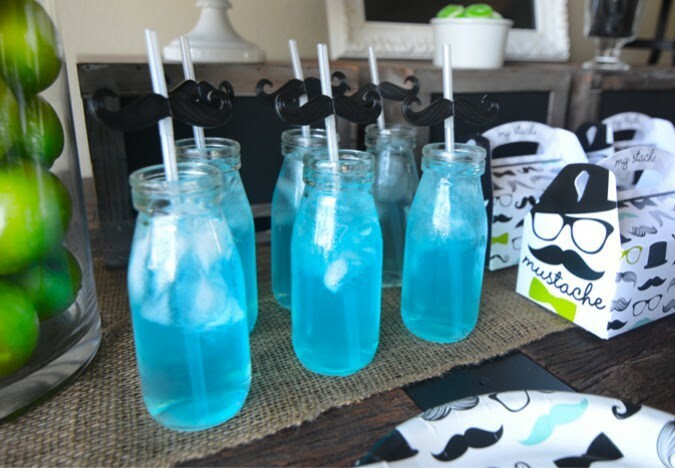 The light bluish color will match perfectly with the Mustache Man theme and you can serve them with the Mustache Man party straws. For a sweet treat, serve your guests cupcakes with a Mustache Man Ring, featured below, as a cake topper. Party Activities – Get creative with your game play and create your own “Pin the Mustache” game, a spin-off of Pin the Tail on the Donkey. Or, go the classic route with a Mustache pull-string pinata that’s full of fun little party favors and candy. Party Decor – To add some pop to your Mustache Man party theme, add in some solid color decor for accents. Lime green balloons will coordinate great with the theme, along with a Mustache shaped foil balloon. For a full selection of Mustache Man party supplies, visit Birthday Express – you won’t find this theme anywhere else!